So wonderful to appear on superbly bookish blog Need to Read This, with a really interesting set of interview questions from Sally Hall. Thanks for having me, Sally! Click the pic above to read the full article. 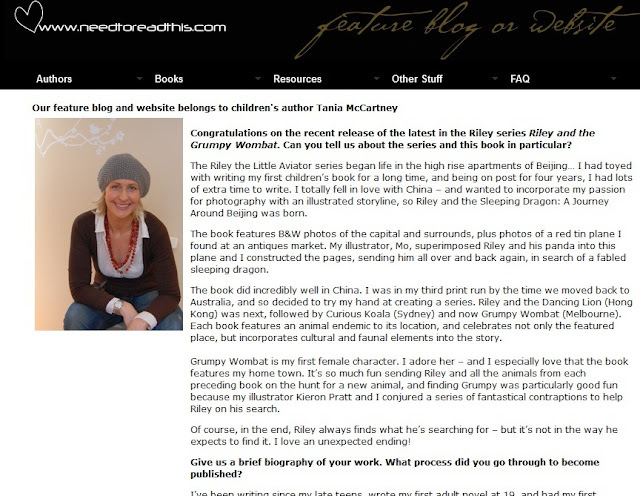 Make sure you stick around check out Sally's site for some fabulous literary content. Thanks for being my guest Tania!